DNS was started in 2005 with a view to providing basic accounting services as well as tax advice to start-ups and small business firms, who do not possess significant financial resources but need access to premium accountancy services for their survival. Since then we have come a long way to be listed as one of the Top 10 Contractor Accountants in the country. DNS has been recognized for its efforts with an array of awards and recognitions as well as accreditations. We assist our clients with expansion and growth of their businesses by offering our services such as financial planning, tax planning and quick online solutions for accounting queries and many other relevant services. To discharge our duties diligently we have a good team of highly skilled small business accountants in Oxford who are all qualified and meritorious accountants from esteemed institutions with recognition from various premium accounting bodies. Our Tax accountants in Oxford provide their expert advice in different fields of accounts, finance, and taxation. We are driven by innovation, technology, and people, and are out to make life easier for our clients by handling even the basic problems being faced by them. We extend our services in consultancy and accounting arena with the help of top-notch chartered accountants in Oxford and nearby locations. We also take utmost care of your fund management needs, accounting requirements, corporate financial services both efficiently and promptly so that you do not have any issues related to your accounts. Our team comprises of accountants and experts having experience of working with over 2000 businesses. 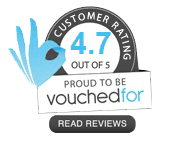 Our global rating of 4.5 out of 5 speaks volumes about our commitment to our business. You can always trust us and depend on us for your business growth and future development. Our team of experts is all well qualified and specialist in their field of work. We provide our clients with Accounting Compliance and Tax Advice, Business Growth System Dedicated Account Manager and Smart Cloud Software to make their business perform to its true potential. 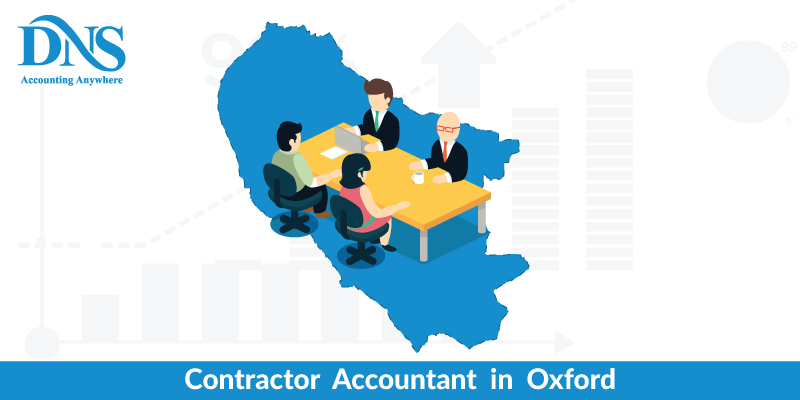 If you compare contractor accountants in Oxford, you will be able to analyze that we are one of the top 10 contractor accountants in the region. Contractor accountants provide similar services for all companies, but they are customized according to their requirements. At DNS, we offer customized solutions to all our clients, so that their business enjoys complete benefits from our expertise. We treat all our customers as equals- be it a start-up, small business or a well-established firm. With the help of our IT contractor Accountants in Oxford and our cloud-based software, Nomisma you enjoy the real time benefits of our online services. Our experts help you to know your tax liability, profit and loss statements, Financial statements, Outstanding Debtors and Creditors and other relevant financial information in real time along with our unlimited support. We deal with the taxman on your behalf and take care of your company and correspondence with the authorities. We extend our support to start-ups and established businesses to keep track of their tax efficiency and provide advice to improve their business decisions at every step. Taxation accounting services offered by DNS offers comprehensive support with tax benefits and tax reduction. Accurate analysis of the financial statements helps to correctly identify the need of improvement and take care of omissions that could lead to problems while filing returns. Tax services such as tax planning, filing returns in time and accounting the correct tax details are all done by our proficient Tax Accountants in Oxford. DNS Accountants provides highly skilled Small Business Accountants in Oxford who have great experience of working with start-ups and small businesses. In addition to offering the full range of accounts, VAT and payroll services, they help you formulate a good business plan with sound forecasting for formulating strategies for business development. Our proper bookkeeping gives you a better chance with bank funding and acquiring external investment. We regularly research the issues faced by small firms that help us analyze our client’s benefits and suggest improvements accordingly. The dedicate account manager appointed to you will ask for the required sales invoices, receipts, bank statement etc. If applicable, you will also need to provide the VAT returns and PAYE statements to your account manager. Once the required information & documents are collected, the further step is will be completing the bookkeeping based on the details provided by you & documents received. Next step is reconciliation. All control accounts including suppliers, customers, VAT, PAYE, and Director Accounts are reconciled. Account manager will also take care of the adjustments such as accruals, deferred payments, prepayments etc at the year end. After reconciliation & year-end adjustments, your accounts are finalized and forwarded to you for final review. Your account manager will also assist you in free tax planning advice at this stage, if there is scope to mitigate the impact of taxes. Once approved by you, the accounts are then submitted to Companies House and HMRC. In order to help start-ups, small businesses, Freelancers, Contractors and Individuals with their accounting, taxation, and financial worries we have extended our services to nearby locations such as Abingdon, Witney, Bicester, Banbury, Fairford and Reading.